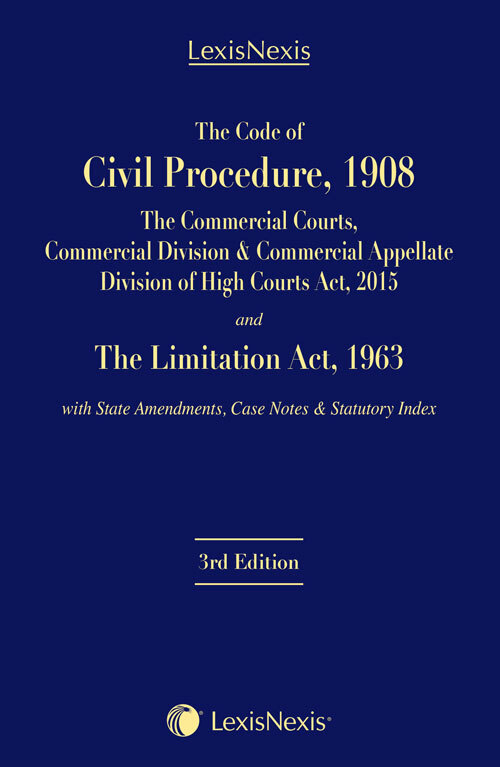 This premium edition covers the Code of Civil Procedure, 1908 (5 of 1908), the Commercial Courts, Commercial Division and Commercial Appellate Division of High Courts Act, 2015 (4 of 2016) and the Limitation Act, 1963 (36 of 1963). This handy reference has been designed as an aid for trial and appellate lawyers, the judiciary, legislators, political and social activists and other interested citizens. The Code of Civil Procedure, 1908 has been amended from time to time by various Acts of Central and State Legislatures. Recently, the provisions of the Code of Civil Procedure in their application to any suit in respect of a Commercial dispute of a specified value have been amended by the Commercial Courts, Commercial Division and Commercial Appellate Division of High Courts Act, 2015. These amendments have been incorporated at relevant places in the present edition. The Code is a voluminous statute and it becomes baffling for anyone to remember all the provisions. No lawyer can afford to remain ignorant of the provisions of the Code, which go to the root of the maintainability of any suit or other proceedings. Keeping this objective in mind, the present palmtop edition has been conceived as a handy reference work on the enactment. The utility of this work is further enhanced by the provision of state amendments, case notes and statutory indexes. An up-to-date text of the Limitation Act, 1963 and Commercial Courts, Commercial Division and Commercial Appellate Division of High Courts Act, 2015 has also been provided to make this volume even more practical.